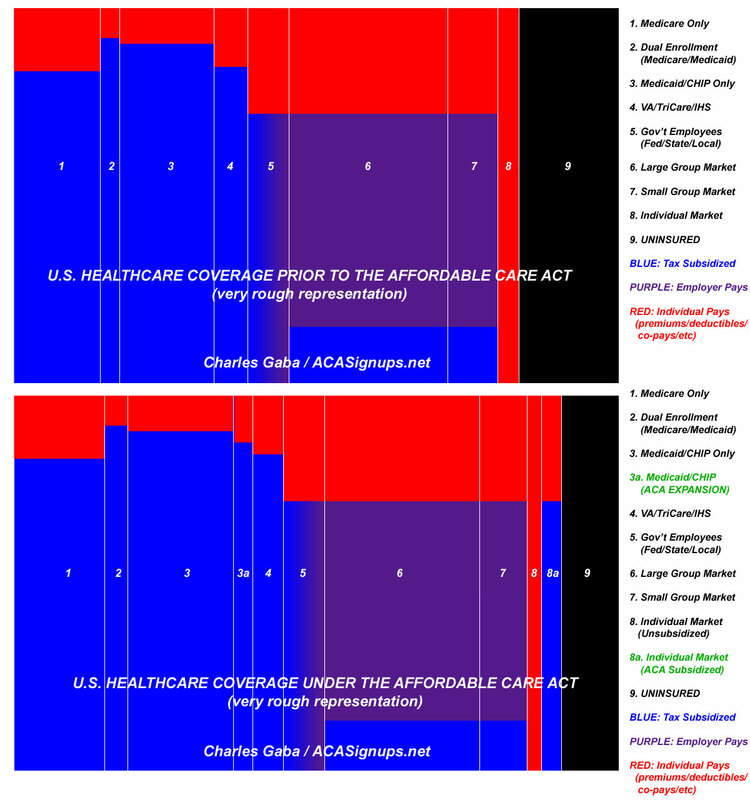 Home » Blogs » Charles Gaba's blog » On healthcare, I have to side with Hillary. First, Hillary Clinton happens to be an excellent debater. I'm not gushing here; she has weaknesses as well (for instance, President Obama was always a better orator; Hillary's voice just isn't suited to huge convention halls in my opinion), but when it comes to the actual debate stage, she's very, very good...which is why minimizing her debate appearances and hiding the ones which do occur never made any sense to me. Secondly, of course, Sen. Sanders has ended up making it a close race in the early states anyway, so it's to Hillary's advantage to have more debates at this point. Then came the infamous "NGP VAN Data" incident. This made everyone involved look bad: The private vendor (NGP); the DNC (Schultz, again); the Sanders campaign, of course; and, to a lesser extent, the Clinton campaign, even though they really didn't do anything wrong which I could see; sometimes bad PR gets splattered on you just from being too close to the pie fight. My point is, there were no knockout blows for me, nor were there any epiphanies which caused me a "Eureka!" moment. This really left one arrow left in Sanders' quiver: His single payer healthcare plan. I knew that the plan he had proposed a few years ago wasn't the one that he had in mind, but neither I nor anyone else knew what the plan was. I decided to give Senator Sanders one more chance to win me over. Well, he released his plan yesterday, just hours before the most recent primary...and to say I'm disappointed is an understatement. Ironically, I'm disappointed because it's basically the same sort of "healthcare plan" I would've written 2 1/2 years ago, when I was just a website developer who didn't know anything about how the healthcare system works in the U.S.
That's pretty much what Sen. Sanders proposed. I mean, yes, his plan is longer (a whopping 5 pages, or 8 if you include the cover and 2 pages of introduction), but it's really not that much more detailed than what I've written above, beyond breaking out what taxes would be applied to which groups. The thing is, I've learned a lot over the past 2 1/2 years. I've learned about premiums and deductibles. I've learned about co-pays and co-insurance. I've learned the difference between HMOs, PPOs and EPOs (ok, I'm still fuzzy on EPOs). I've learned about risk pools, risk corridors and risk adjustment. I've learned about the 8 different thresholds for Medicaid eligibility in each state, and the fact that Medicaid has a different name in each state. I've learned about MAGI, MOOPs, OEPs, SEPs, CO-OPs and COBRA. I've learned the difference between the HHS, CMS, the CBO, the CDC and the ASPE. I've learned the difference between a bundled dental plan and a standalone one (something which even CMS seemed to have trouble with last year). First, I'm more certain than ever that, as Bernie Sanders believes, a single payer system--or at least something resembling single payer--is absolutely the goal we should be heading towards as a nation. Second, I'm also more certain than ever that, as Hillary Clinton believes, achieving that goal is absolutely not going to happen in one, two or even ten years even under the best of circumstances...but that the Affordable Care Act, for all of it's flaws (of which there are many), is the best engine to eventually get there. But even in a world where a President Sanders is backed up by a resolutely progressive Congress, the transformation he envisions is nowhere near as simple as he asserts. Does Sanders really intend to cover every conceivable treatment sought by American patients, as his plan implies? That's a formula for an explosion in healthcare spending, with little indication it will lead to better health. To at least a certain extent, insurers rejecting claims or treatments impose a limit on rising costs by demanding some evidence of cost-effectiveness. It's an imperfect process, certainly, and hard to distinguish from mere profit-seeking, but it would have to be replaced by a government-administered version. Americans almost certainly aren't prepared to have the government rather than insurance companies saying "no." In countries such as Britain, an entire bureaucracy, known as the National Institute for Health and Care Excellence, or NICE, exists to set limits on spending, rejecting treatments judged to be not worth the money. The process isn't always pretty and often politically charged. Telling cancer or cardiac sufferers that they can't have a supposed wonder drug because it won't extend their lives by enough per dollar of cost will be difficult enough. What about areas where medical policy conflicts with religious or moral scruples? As healthcare policy expert Harold Pollack wrote last year, "Imagine the national policy debate over abortion, contraception, HIV prevention, immigration policy, and other matters in a national Medicare plan." Pollack points to myriad other disruptions that would make healthcare even more of a political football than it is today. "We would require new care models for complex patients," he observed. "We would face the economic, organizational, and human challenges of end-of-life care. We would make difficult decisions about network adequacy and patient cost sharing and face difficult questions in designing essential health benefit provisions for autism, substance use disorders, and cancer. ... We would face our society’s tenuous commitment to the well-being of our most disadvantaged citizens." Setting aside the "zero cost sharing = appointments for stubbed toes" issue, and even setting aside the holy hell which would be raised by rich people and powerful corporations over the tax hikes (not to mention the entire health insurance industry over a move which would put them all out of business and by the pharmaceutical and hospital industries over yet another major overhaul just a few years after the last one), notice that such a system would completely wipe out/replace every single healthcare coverage law or ordinance passed by the federal, state or local governments; every union contract made between the federal, state or local governments or by any private corporation in the country; every contract signed by any private insurance carrier with either companies or individuals, and so on. Medicare? Replaced. Medicaid? Replaced. ACA exchanges? Replaced. The VA and TriCare? Replaced. Private Large Group coverage? Replaced. Private Small Group coverage? Replaced. Off-exchange Individual Market? Replaced. All of this replaced, all at once. How many regulations will have to be re-written? How many contracts rendered null and void? How many lawsuits would be filed over breach of contract? The initial steps would begin with Medicare. Instead of raising the entry age from 65 (as some politicians have suggested in the past), I'd start to lower it...but very gradually. As in, one year per year, no more than that. 64...63...62 and so on. Why so slowly? Well, the total current U.S. population stands at roughly 322 million people. As of 2014, around 1.09% of those 322 million were 64 years old, or 3.5 million. Another 1.12% were 63 last year, or 3.6 million and so on. Moving 3.5 million people over to Medicare from their current coverage all at once may not sound that bad (remember, over 13 million have been added to Medicaid over the past 2 years, and over 7 million were newly-added to ACA exchange policies in 2014 alone). However, these 3.5 million would be transferred over from a variety of existing forms of coverage. Again, look at the 11 categories above; some would be drawn from each of these types of insurance (or from none at all in the final column). Not only would this cause some amount of disruption for the people themselves, it would also cause financial and legal headaches which would have to be sorted out for insurance carriers, corporations and so on. The up side, of course, is that around 300,000 more people would gain new coverage, while all 3.5 million would now be covered by Medicare. How much would this cost? Well, right now Medicare costs roughly $505 billion per year to cover around 54 million people, give or take. Some of these folks are covered due to disability instead of age, but let's assume roughly $9,400 per person per year. Now, it's safe to assume that 64 year olds will be less expensive on average than those 65 and up, and as you move down the age range the average cost should drop accordingly. For simplicity, however, let's call it an even $9,000 per person added under 65. That means adding 64-year olds would require an extra $31.5 billion more per year in the federal budget. This would also have an impact on other areas of the economy--the workforce (will some of these folks retire a year early? ), risk pools (the Medicare risk pool would improve slightly as the average age dropped a smidge...while, simultaneously, so would the large group, small group and individual market risk pools, as the oldest slice of them are shifted over to Medicare). Give the entire system a year to adjust and recalculate everything...and then move on to the 63 year olds. Give that a year to adjust, move to 62 year olds and so on. If you're feeling particularly daring, perhaps do it 2 years at a time (but then give the system 2 years to adjust). Note that while insurance carriers would be losing business on the large/small group and individual markets, they'd be gaining business on the Medicare management and supplemental Medicare (MediGap, etc) side of things. In any event, after around 15 years, you'll have gradually shifted around 19% of the total population--everyone 50 and older, or roughly 60 million people using today's population level--over to Medicare...all without destabilizing the rest of the industry. The rest of the process would have to be done in equally gradual, careful steps, with adjustments being made to actuary tables, funding sources and so forth along the way. On the one hand, a process like this would take decades and would span up to a dozen presidential terms of office; obviously any number of things could change in the economy, politically, cost-wise and so forth. Unfortunately, that's also the only way I can see such a system coming about...and even that would be pushing it. This is not the sort of thing which people like to hear. I'm depressed to hear it myself...but bear in mind that it took 45 years from Medicare being passed until the Affordable Care Act was signed into law...and even then, the ACA only squeaked through by the skin of it's teeth. It's going to take a few years of full ACA implementation for the dust to fully settle, and even that's going to require some modifications here and there. Then it'll be time to start the long, gradual process of extending/expanding Medicare (or whatever other process seems to work best). The point isn't which specific mechanism is used to do it; the point is that I just don't see any way of getting from where we are now to a full, universal, single payer healthcare system within the next decade even if the Democracts had the political will and strength for it. Doing so is gonna require sticking fingers in too many pies along the way as it stands. This is why, regardless of how much I agree or disagree with either of them on other issues, when it comes to the best route forward for healthcare, Hillary Clinton's philosophy of incremental change and improvements to the ACA are infiinitely more realistic to me, not just in terms of political feasibility but also in terms of legal and societal practicality than Bernie Sanders's plan, even if I agree with him on the eventual end goal. And believe me, it wasn't easy to write this.